“Now ye may suppose that this is foolishness in me; but behold I say unto you, that by small and simple things are great things brought to pass; and small means in many instances doth confound the wise” (Book of Mormon, Alma 37:6). Just like we have a physical body that needs to be nourished every day, we have a spirit that needs daily spiritual nourishment. It would be ridiculous to say, “Well, I ate yesterday. I really don’t need to eat today.” While it is true that you won’t die from missing one day of food, it wouldn’t be a very pleasant experience (unless you were fasting). Your spirit feels the same way when you miss a day of prayer and scripture study. As parents it’s vitally important that we help our kids nourish their spirits every day. The first thing on my kids’ morning sticker charts is to make their bed and say a prayer. They think that I’m monitoring whether their bed is made or not, but what I’m really monitoring is whether or not they prayed. I don’t care about their bed. If their bed’s not made, I know they didn’t pray and I send them right back in there to do it. It’s becoming a habit for my older ones and they rarely forget, but for the younger ones it’s a good visual for me to see if morning prayers are done. In our church we are counseled to have family scripture study every day. We also have a weekly family home evening (a family meeting) where we gather the kids together, teach them a gospel principle, and then have fun as a family. 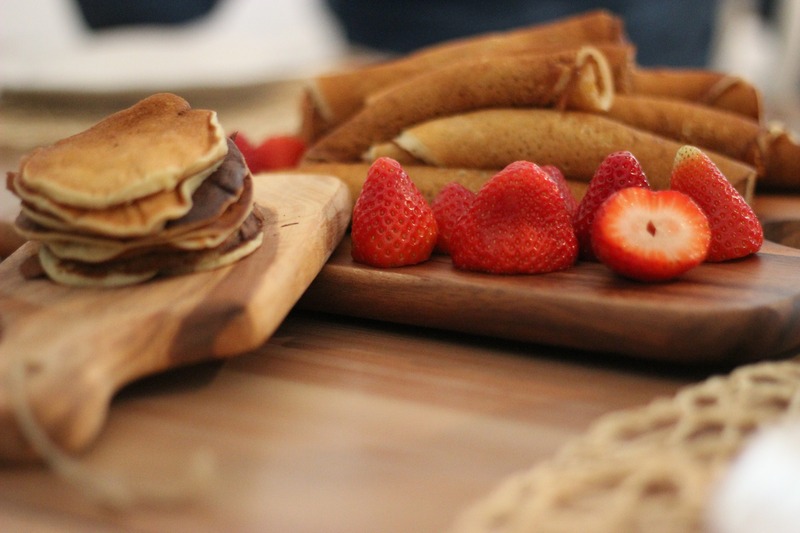 We always have a yummy dessert so my kids look forward to it! I know I have days when I wonder if our family prayer, family scripture study, and family home evening are impacting our kids at all – especially when one of my kids hits an older sibling during the middle of a family scripture discussion on patience! To any of the other families who are wondering if family scripture study and prayer are working, I say DON’T GIVE UP! We don’t do scripture study and prayer for short-term benefits, but for long-term growth. Would you rather have a million dollars or start with a penny and have your money doubled every day for 30 days? Let’s pretend you choose the penny and your friends choose the million dollars. At first, you are dirt poor and the progress is painfully slow. Your friends who chose the million dollars are laughing at you! On day 10 you only have $5.12 and your friends are mocking you while they sit and drink pina colodas on their yacht. On day 20, you wonder if you should give up. You only have $5,242.88. Is it really worth it? Should you keep going? Some people may quit at this point – the struggle and wait just doesn’t seem to be paying off. But what a tragedy that would be! On day 28 you would break the one million dollar mark and on day 30 you would collect an astonishing $5,368,709.12! This is called the compound effect. 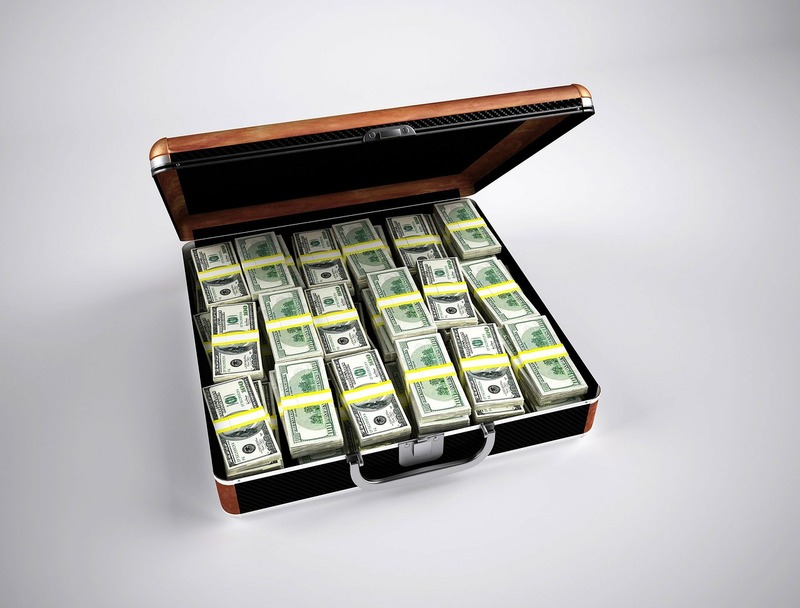 It is much more powerful than just getting a lump sum of one million dollars. A one million dollar lesson on patience to our kids may not amount to much. A one million dollar lesson on faith or repentance or charity may not amount to much, but what if you had a short gospel lesson every day? 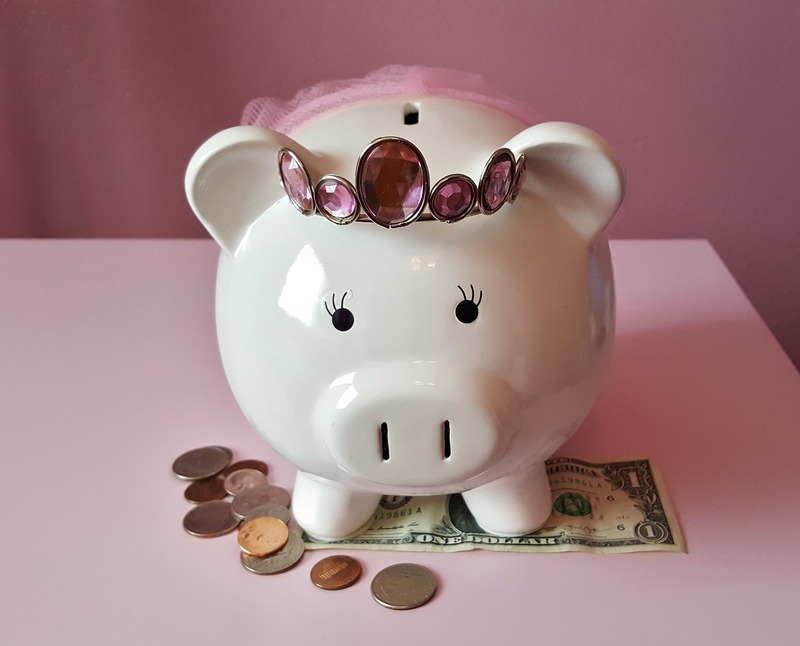 The compound effect kicks in and pretty soon you have the equivalent of a 5-million-dollar lesson with several topics in your kids’ spirituality bank accounts. One family home evening may not make a difference that day or even later that week, but over time, what is the collective effect of hundreds of family home evenings? It is astonishing! The spiritual power your kids will have gained will plant their spiritual roots firmly in the ground. They will not be uprooted by doubts or fears or unbelief very easily because of the compound effect of the spiritual things you have done in your home as they were growing up. It’s never too late to start a regular scripture study habit or family home evening. Our family has monthly themes/values that we want to teach our children. They repeat themselves every year. We do that on purpose. We want those 12 values deeply ingrained in our children’s hearts and behavior. How did I come up with this list? As a young mom, I started making a list of all the spiritual things I wanted to teach my children, but it grew so long that I became overwhelmed and discouraged. How on earth could I possibly teach all of that to my kids? It seemed hopeless. I knew I needed some way to organize it , but I felt lost. Shortly afterwards, I was preparing a church lesson for the youth and turned to the For the Strength of Youth Pamphlet. Have you ever wanted a list of all the Christian values we want our youth to understand and live by in a format that was clear, concise, direct, and short enough to finish in 30 minutes? In our church we have a pamphlet that is worth its weight in gold. It covers 19 topics from dating to honesty to work and self-reliance. You can check it out here. As I held that pamphlet in my hand, I thought, Duh! Here’s my list! I don’t need to come up with my own! Yes, I felt dumb, but I also felt empowered. I immediately sat down with my husband and we combined some of the topics to come up with a list of 12 values to teach our kids. We assigned every value to a month of the year. FEBRUARY – The Law of Chastity (FSOY topics: Dating, Music and Dancing, Dress and Appearance, Sexual Purity). This topic corresponds nicely to Valentine’s Day and teaching children the true meaning of love. APRIL – Plan of Salvation & Missionary Work (FSOY “Agency and Accountability” Preach My Gospel – 2nd lesson (Plan of Salvation) and 3rd lesson (Gospel of Jesus Christ); Preach My Gospel Chapter 9 and 10. JUNE – Hard Work, Self-reliance, and Goal Setting (FSOY “Work and Self Reliance” Preach My Gospel Chapter 6 “How do I develop Christlike Attributes?” Preach My Gospel Chapter 8 “How Do I Use Time Wisely?” Preach My Gospel Chapter 11 “Keep Commitments.” We didn’t want our kids to be lazy and waste their Summer so we have them set goals at the beginning of the Summer and help them develop talents. They go back to school very proud of all they have accomplished. JULY – Service and Being “Others” Oriented (FSOY “Service) When your kids are out of school, it’s the perfect time (because you have extra time!) to plan family service projects. AUGUST – Relationship Skills (FSOY “Family” & FSOY “Friends). August is the month right before school starts and it’s important to sit down with your kids and teach them about how to be a good friend. With our younger kids, we role-played introducing themselves to new kids at school and how to make friends on a playground. OCTOBER – Self Mastery and Moderation – Physical, Emotional and Mental Health, Education, Tithing, Finances, Being Thrifty. (FSOY topics: Education, Physical and Emotional Health, Tithes and Offerings) October comes right before the holiday season and this month’s theme is a good reminder to eat well during the holidays & exercise, be frugal and not blow all of your money during the holidays, and take care of yourself emotionally. NOVEMBER – Cheerful Attitude and Gratitude (FSOY “Gratitude”) This month’s value corresponds well with the true meaning of the Thanksgiving holiday. Our 12 monthly values are displayed prominently in our home, right on the item that gets the #1 use in our house: the fridge! I laminated four cute scrapbooking sheets, and I use the first sheet to display the monthly theme and the next three to put up quotes. It is easy to switch the theme and quotes each month because I’m using magnets (that’s why I chose to use the fridge instead of framing things on a wall). I try to change the quotes each week so my family doesn’t get tired of the same ones for the whole month! I love having my house help teach the gospel – even if the kids aren’t listening to me they can read a quote on the fridge! Need help finding quotes? I found a blog called Spiritually Thinking. This amazing lady has posted all of her favorite quotes (there are hundreds of them). She makes them super cute and FREE to print off and use in your house. Every month I search her blog for quotes that are relevant to my monthly theme. We have four weekly family home evenings a month on each value and really focus on LIVING that principle every day that month, setting some goals, and BECOMING better in that area. At dinnertime we remind the kids what the topic is, discuss it, share experiences of how we’ve seen that value in action that day, or work on memorizing one of the quotes. We try to ask, “Hey kids, our theme this month is honesty – how were you honest today?” Of course, some of my kids are so little that we have to tell them how they were honest, but they love to hear their parents tell them how amazing they are! I really love this system because of the compound effect. One lesson on anger management (aka kindness and patience) may not stick, but four lessons on it plus daily dinnertime discussions make a huge difference in behavior. As it repeats each year, we go into greater depth with the older kids and it’s amazing to see their progress from year to year – not just in their knowledge on the subject, but in their behavior and conversion to that value. It is literally becoming a part of who they are. My hope is that they will always associate January with kindness, May with honesty, and December with the Savior. I make a lot of mistakes as a mom, but having a system in place that makes it easy to review spiritual topics gives me great peace of mind. 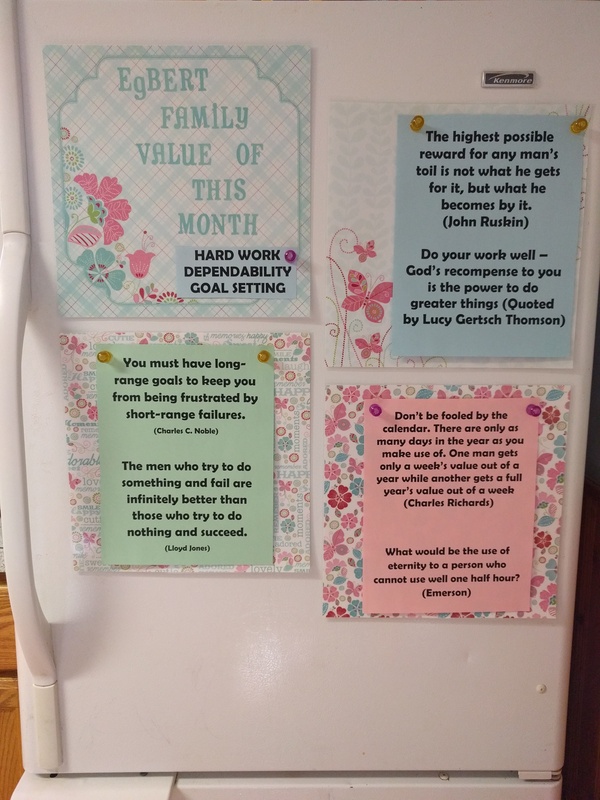 Even when I’m dead tired, I can look at the fridge and lead a short family discussion on the monthly family value or on one of the quotes. 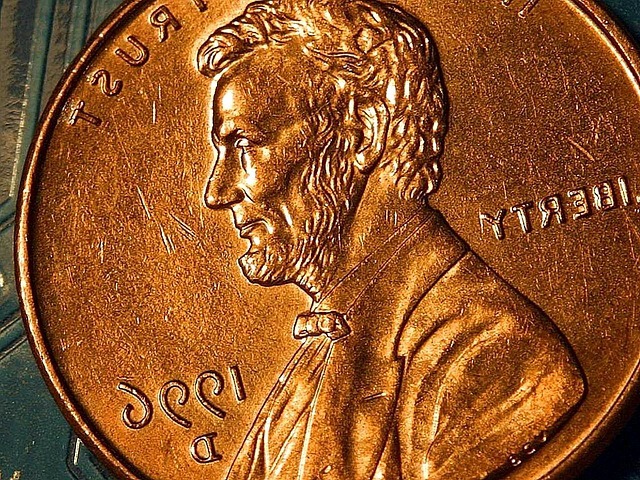 It may seem like I only added a spiritual penny into my kids’ testimony bank that night, but I know the compound effect is in place and that penny will eventually turn into a $5 million testimony. This entry was posted in Parenting, Spiritual Nourishment and tagged family home evening, family scripture study, Parenting, teaching by egbertelizabeth. Bookmark the permalink. What wonderful ideas to share! How wise to make such important character principles fun, easy, and everlasting! Thank you!